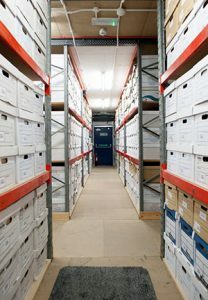 If you’re running out of archive storage space and need secure, safe document storage facilities we can help. Our team regularly save our clients money and time, enabling them to acquire more space in their workplace. Call us FREE on 0800 008 7229 and see what we can for you! Scan on demand retrieval service, returning important documents to you electronically within two hours, if required. Freeing up space in your workplace enabling greater growth for your business! 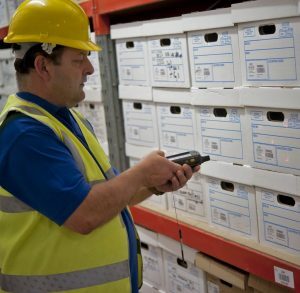 If you have large quantities of hard-copy records, valuable documents or X-rays Scan Film or Store can offer a full document storage service and hold them for you in a secure, dry, protected environment. The storing of your documents can either be in addition to, or instead of, converting your documents to digital or microfilm format. Storage can be short term or indefinitely. Services include a full bar coding, cataloguing and retrieval system allowing you to access your important stored documents quickly. Take a look at a storage case study or contact us on 0800 008 7229 to discuss your document storage requirements. Initial consultation free of charge or obligation.